Repotting orchids? Transplanting orchids to Hydroponics is easy and almost any plant can be converted. Give your plants new life by transplanting them into our hydroponic system. Replace all that old decaying media with our LECA pebbles! Our system is cleaner and eliminates mold and disease. A water gauge even tells you when to water so there's no more guessing! 1. Start slow. Don't repot your entire collection at once. 2. Begin with a healthy plant. Learn how hydroponics works before rejuvinating sick plants. 3. Transplant AFTER the blooms have faded. 4. Use a grow pot same size or slightly smaller than existing pot. Hydroponics does not require large growing containers. 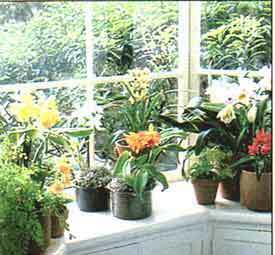 Most orchids will do just fine after transplanting. Just remember that the roots have moved to a new environment so they'll need a little time to adapt. Most plants transfer with no shock whatsover. Others might need a little "tender loving care" while they get used to their new home.